Soon after the border gate opened at 6 am, crowds of both Vietnamese and Chinese travelers queued up to go through cross-border procedures. 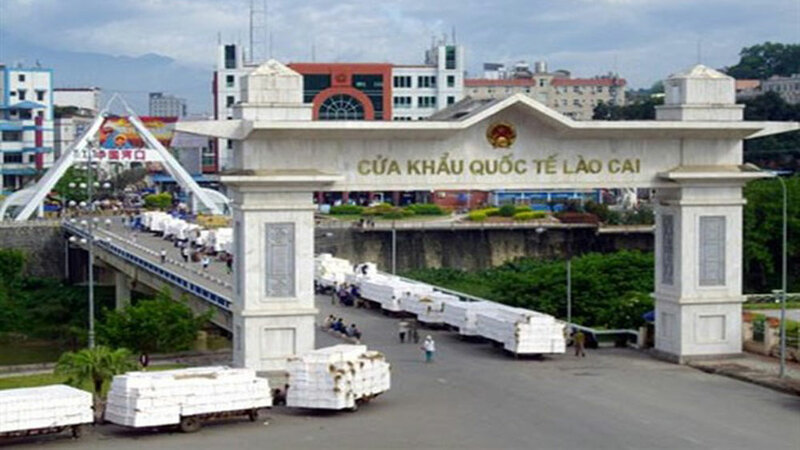 Lao Cai international border gate. Immigration officers presented flowers to the first Vietnamese going to China and the first Chinese entering Vietnam and wished them a happy new year. The first Chinese tourist group entering Vietnam, comprising 18 holidaymakers from Sichuan, were welcomed by officials from Lao Cai province’s Department of Culture, Sport and Tourism and the province’s tourism association. The same day, the border guard forces of Vietnam and China held several gatherings at the shared border gates in Lao Cai to jointly celebrate the Lunar New Year festival. Such Tet gatherings have become a tradition cherished by both sides for many years. Lao Cai province was the destination of more than 4.3 million travelers in 2018, including 720,000 foreign tourists. (BGO) – About 800 tonnes of lychees from Bac Giang and Hai Duong provinces are now exported to China per day through the border gates in Lang Son province, doubling the figure in the early days of the crop. (BGO) - As a part of the Economic Forum on production and consumption of lychee and key, typical agricultural products of Bac Giang on 8 June, Vice Chairman of the provincial People’s Committee (PPC) Duong Van Thai chaired a courtesy meeting with the delegates from Guangxi province and Hekou district, China on June 7. The meeting was attended by leaders of some provincial departments and localities. Low risk of the virus spreading from southern Africa, but preventive action needed, Health Ministry says. The first Vietnam – Laos – Cambodia border friendship exchange 2018 opened in the Central Highlands province of Kon Tum on November 2.